As far as older snow blowers go, the Noma brand are considered reliable machines. Noma snow blowers were mid-level snow blowers marketed toward homeowners. They were sold as an affordable option for homeowners in areas with moderate snowfall, who weren’t in need of heavy machinery. It’s no longer possible to find new Noma snow blowers, but replacement parts are still available through online merchants. 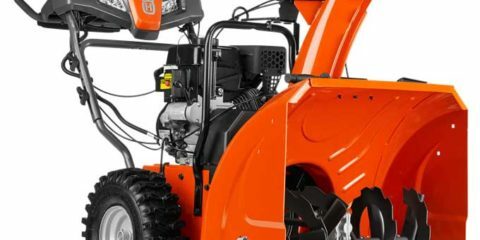 Through a chain of acquisitions, Briggs & Stratton ultimately owned the Noma Co., and service on the machines may be available through the Briggs & Stratton dealer network. The Noma Co. history is elusive. The Murray Co., which makes Blizzard by Murray, acquired Noma and kept marketing the snow blowers under the Noma name. Briggs & Stratton, an engine manufacturing company that acquired many companies, such as Simplicity, Snapper, Giant-Vac and Ferris, eventually acquired Murray. Briggs & Stratton’s acquisitions all happened around the year 2000, which coincides with the last sales of new Noma snow blowers. Noma replacement parts can often be tough to come by. Sears Parts Direct has a number of items ranging from clutch cables, auger drive belts, bearings, wheel assembly and more. You can also find some parts on Amazon from 3rd party sellers. Noma snow blowers feature Tecumseh engines. A common repair on a Noma snow bower is that the auger won’t disengage when the handle is released. This can sometimes be caused by maladjusted belt guides or a worn auger brake shoe. Other common Noma repair problems mentioned in forums include the gears that power the self-propel functionality don’t work reliably, as well as worn belts, auger bushings and impeller bearings.